Comprehensive, synergistic combination of essential nutrients designed to support the formation and maintenance of healthy bone structure. Provides 1,000 mg of combined calcium citrate, hydroxyapatite, and fructoborate. This unique blend provides a better absorbed and a more highly bioavailable source of calcium. Extensive research demonstrates the role of calcium in supporting bone health and reducing the risk for bone-related disorders. 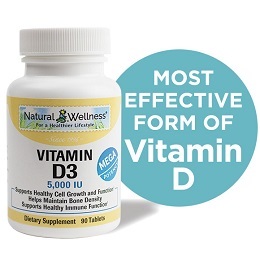 Contains 1000 IU of Vitamin D3, a critical nutrient for bone health and deficient in about 50% of Americans. Vitamin D helps promote intestinal calcium and phosphorus absorption and helps reduce urinary calcium loss, essential mechanisms for helping to maintain normal, healthy calcium levels and to support overall bone health. Vitamin D also helps maintain a balanced activity between osteoblasts and osteoclasts, critical for the continuous remodeling of bone structure, known as bone mineralization. Bone mineralization is the process of bone formation, brought about by the action of specialized bone cells called osteoclasts, which absorb old bone tissue, and osteoblasts, which form from osteoclasts and produce new bone tissue. This remodeling of bone is a constant process that maintains bone strength. Contains FruiteX-B®, a patented and very highly bioavailable calcium-boron complex known as calcium fructoborate. Studies demonstrate its ability to support mineral metabolism, healthy levels of vitamin D, and both male and female hormone production, all of which are critical to maintaining bone health. L-OptiZinc®, the most well researched form of zinc available, has been demonstrated in studies to be better absorbed and utilized by the body than other forms of zinc. This important trace mineral is essential for vitamin D receptor activity, as well as the activity of enzymes involved in maintaining normal blood pH and bone mineralization. Bone mineralization is essential for the hardness and strength of bones. 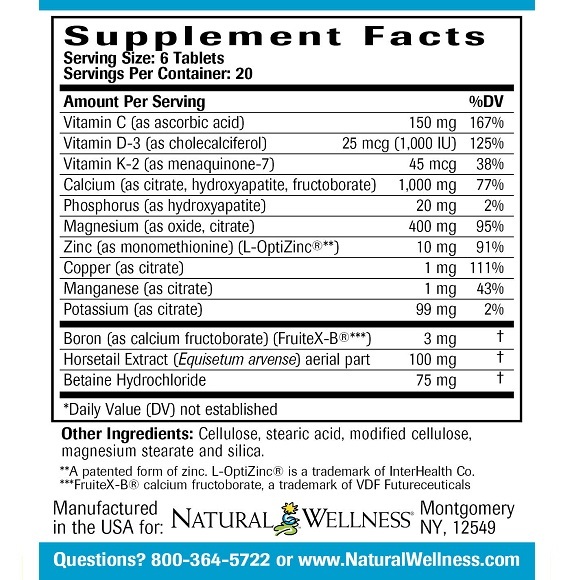 We include the better absorbed, citrate form of Magnesium. Magnesium is a major component of bone tissue and is also required for the secretion of parathyroid hormone (PTH) which stimulates the body to produce the active form of vitamin D, which along with PTH helps reduce urinary calcium losses. 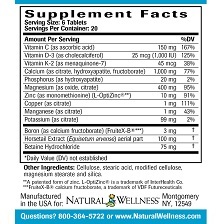 Contains Vitamin K2 as menaquinone-7 the most bioavailable, bioactive form of vitamin K. Vitamin K2 helps activate osteocalcin, a calcium-binding protein required for building strong, healthy bone tissue. Zinc, copper and manganese serve as cofactors for the production and stability of collagen, the underlying structural component of bone tissue. Cofactors are compounds that are required for a protein's biological activity. They are considered "helper molecules" that assist in biochemical transformations. Silicon, from horsetail extract, helps support collagen production and strength as well as the process of bone mineralization. Betaine HCL helps support mineral absorption, particularly that of calcium. Potassium plays a vital role in maintaining bone health. Our potassium neutralizes the acids produced during the body's metabolic processes, preventing the deplete of bone. Otherwise these acids would deplete bone much like acid rain eats away at a limestone statue. Vitamin C is required for the normal production of collagen and optimal functioning of the osteoblast cells responsible for making new hard bone. Phosphorus work closely together with calcium to build strong bones and teeth. Phosphorus is needed to help use other vitamins and minerals, including vitamin D, magnesium, and zinc. When it comes to bone health there are several nutrients that help build and maintain strong, healthy bones. For many years, most individuals relied solely on calcium as a way to support bone growth and protect their bones against the ravages of aging. More recent studies show several nutrients are essential for helping to build and maintain strong, healthy bone structure throughout life. Nutrients such as vitamins D and K along with minerals like magnesium, and boron have been shown to play a major role in bone health. 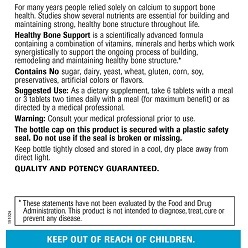 After a thorough review of the scientific literature, we have developed Healthy Bone Support. 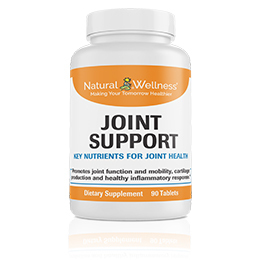 This formula is a scientifically advanced, synergistic combination of vitamins, minerals and other cofactors, which together, help support the ongoing processes of building, remodeling and maintaining healthy bone structure. 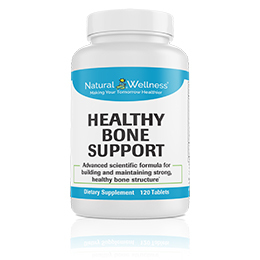 When taken on a daily basis, the nutrients in Healthy Bone Support can help support the many complex biochemical and physiological processes that are essential to maintaining optimal bone health. 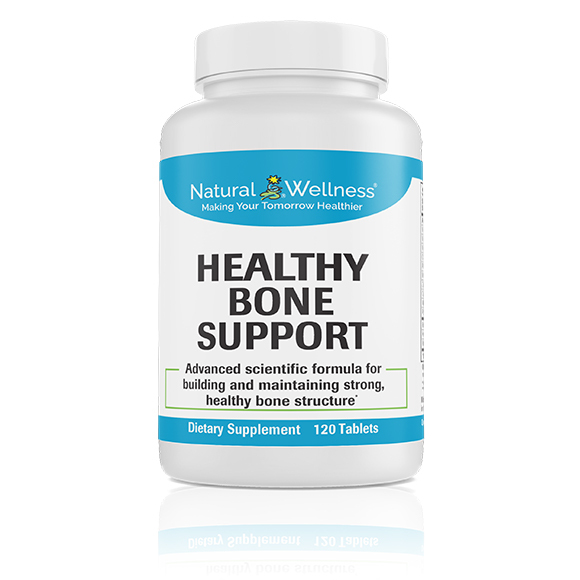 Make Healthy Bone Support by Natural Wellness® part of your health regimen today! During your life, you body continuously reabsorbs old bone and creates new. As long as your body keeps a good balance of absorption and creation, you bones will stay healthy and strong. As we age, our bones may weaken as the body becomes less able to create new bone. This can lead to osteoporosis. Besides aging, other factors can influence the health of your bones such as lifestyle, nutritional deficiencies and disease. A healthy lifestyle, including proper nutrition and exercise, can help you bones stay healthy and strong. As a dietary supplement, take 6 tablets daily with a meal or 3 tablets two times daily with a meal (for maximum benefit) or as directed by a medical professional. 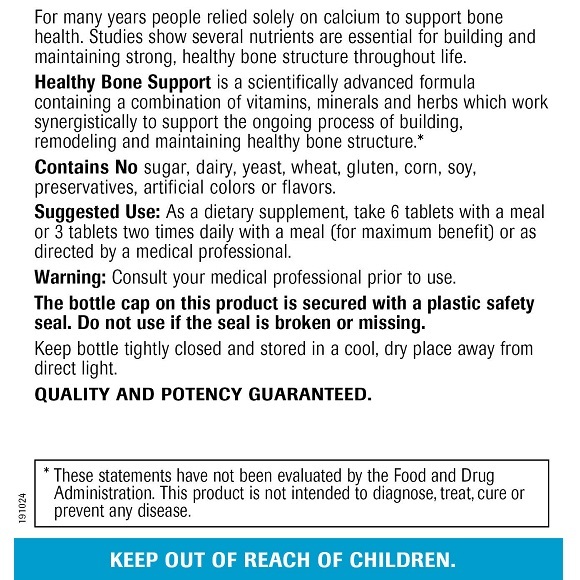 Healthy Bone Support is MANUFACTURED in the USA to meet FDA strict current Good Manufacturing Practice regulations (cGMP).